Rent Orfila Vineyards | Corporate Events | Wedding Locations, Event Spaces and Party Venues. Orfila Vineyards & Winery is an ultra-premium boutique winery nestled in the picturesque San Pasqual Valley, approximately 30 minutes from San Diego, on the way to the Wild Animal Park. Orfila produces award-winning Rhone-style wines from grapes grown on our hillside estate. Our Vineyard Courtyard can accommodate up to 300 guests and looks out over our lush vineyards and the hills of the San Pasqual Valley. Our tent pavilion is a functional meeting space for everything from a simple power point presentation to an industry trade show. Our Grape Arbor can accommodate up to 100 guests with the choice of dining underneath the leaf covered trellises or utilizing the arbor as a display for silent auction items. Our Barrel Room offers rustic, old world charm and, with candle lit barrels and private bar service, serves as a unique option for corporate dinners and events up to 60 guests. 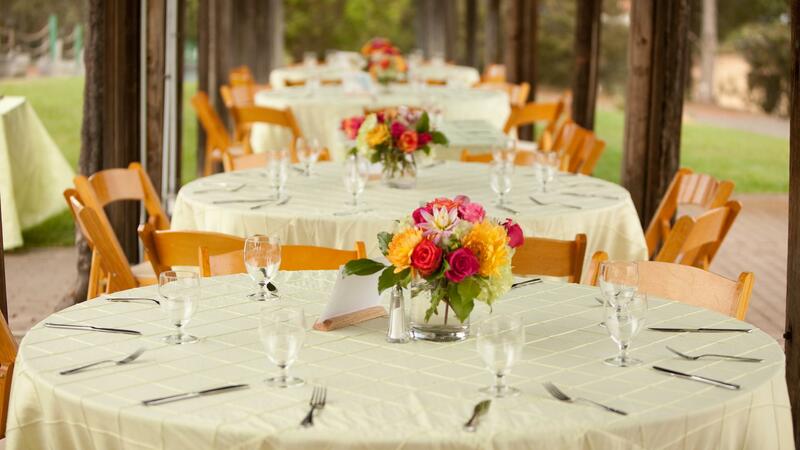 Whether you are searching for a meeting site with an exceptional view, an intimate congratulatory dinner under our Grape Arbor or a fun, casual team building presentation, Orfila can help you create an unforgettable event. We focus on an experience for your co-workers instead of just a meeting. What better way to up attendance to a sales conference than hold it at such a distinctive venue. “Vineyards and Winery” grabs the attention of your employees as well as helps them remember the ideas you are trying to get across to them. Motivate your employees to perform to their best potential. Educate clients on the best your company has to offer. Celebrate the exceptional work your co-workers have put in for your company. Orfila Vineyards and Winery offers the perfect backdrop for the outdoor wedding of your dreams. With over 70-acres of sprawling vines and mountain views, there is no shortage of breathtaking scenery for those perfect photo opportunities. Nestled in the hills of the San Pasqual Valley, Orfila Vineyards’ wedding venue ranks among the best in San Diego. Our experienced Events team will lead you through the process and help you along the way, including being your Coordinator for the big day.